The 2011 Coke Zero 400 Powered by Coca-Cola was a NASCAR Sprint Cup Series stock car race that was held on July 2, 2011 at Daytona International Speedway in Daytona Beach, Florida. Contested over 160 laps on the 2.5-mile (4.0 km) asphalt tri-oval, it was the 17th race of the 2011 Sprint Cup Series season. The race was won by David Ragan of Roush Fenway Racing, his first in the series. Ragan's teammate Matt Kenseth finished second and Joey Logano finished third. Daytona International Speedway is one of six superspeedways to hold NASCAR races, the others being Michigan International Speedway, Auto Club Speedway, Indianapolis Motor Speedway, Pocono Raceway and Talladega Superspeedway. The standard track at Daytona International Speedway is a four-turn superspeedway that is 2.5 miles (4.0 km) long. The track's turns are banked at 31 degrees, while the front stretch, the location of the finish line, is banked at 18 degrees. 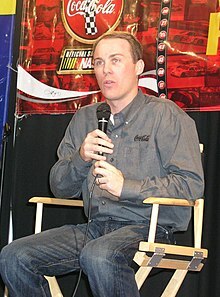 Kevin Harvick was the defending race winner. Prior to the race, Carl Edwards led the Drivers' Championship with 573 points, and Harvick stood in second with 548 points. Jimmie Johnson was third in the Drivers' Championship with 540 points in a Chevrolet, Kurt Busch was fourth with 539 points, and Kyle Busch was in fifth with 536 points. In the Manufacturers' Championship, Chevrolet was leading with 108 points, 15 points ahead of Ford. Toyota, with 84 points, was 17 ahead of Dodge in the battle for third. Two practice sessions were scheduled before the race on Thursday. The sessions were scheduled to be 80 and 85 minutes long. However, because of wet weather the first practice session was cancelled, and the following session was shortened to 45 minutes long. In the only practice session for the race, Marcos Ambrose was the quickest with a time of 45.133 seconds. A. J. Allmendinger followed in the second position, two hundredths of a second slower than Ambrose. Kurt Busch was scored third ahead of Brad Keselowski, and Mark Martin in fourth and fifth. During qualifying, forty-five cars were entered, but only forty-three were able to race because of NASCAR's qualifying procedure. Martin clinched his 50th career pole position, with a time of 49.433. He was joined on the front row of the grid by 2011 Daytona 500 winner Trevor Bayne. Clint Bowyer qualified third, Jeff Gordon took fourth, and David Ragan started fifth. The two drivers that failed to qualify were Tony Raines and J. J. Yeley. Kevin Harvick led the points standings after the race. ^ "Sprint Cup Series Schedule". ESPN. Archived from the original on 20 January 2012. Retrieved 28 June 2011. ^ "Martin Wins 50th Career Pole". 1 July 2011. Motor Racing Network. Retrieved 2 July 2011. ^ "NASCAR Race Tracks". NASCAR. Archived from the original on 28 June 2011. Retrieved 28 June 2011. ^ a b "NASCAR Tracks — The Daytona International Speedway". www.speedway-guide.com. Archived from the original on 2011-07-16. Retrieved 28 June 2011. ^ "2010 Coke Zero 400". Racing-Reference.info. Retrieved 28 June 2011. ^ "Driver's Championship Classification". NASCAR.com. Retrieved 28 June 2011. ^ "Manufactures' Championship Classification". Jaski.com. Archived from the original on 16 June 2011. Retrieved 28 June 2011. ^ "Jayski'sŽ NASCAR Silly Season Site – Sprint Cup Race Info / Rundown Page". Jayski.com. Retrieved 30 June 2011. ^ Hembree, Mike. "CUP: RPM Teammates Lead Daytona Practice". 30 June 2011. Speedtv.com. Retrieved 1 July 2011. ^ a b c "Practice Speeds Coke Zero 400 | Daytona International Speedway". 30 June 2011. NASCAR. Retrieved 1 July 2011. ^ "Qualifying Order". NASCAR. Retrieved 1 July 2011. ^ a b c d "Qualifying Results (Race Lineup)". NASCAR. Retrieved 1 July 2011.